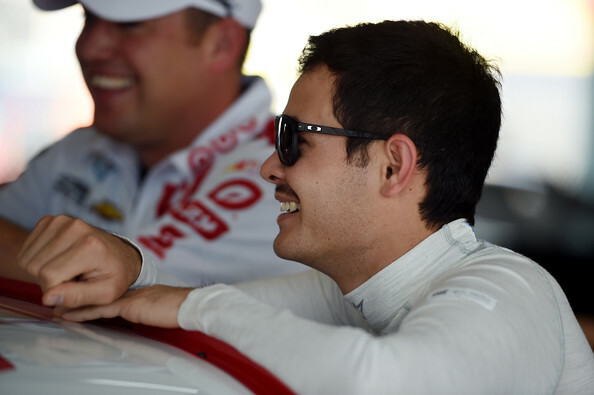 Kyle Larson won the pole for Friday night’s NASCAR Camping World Truck Series race at Homestead-Miami Speedway. The driver of the No. 42 truck will be joined by Ryan Blaney on the front row for the running of the Ford EcoBoost 200. This is the final truck race of the season. Coverage of Friday’s race will air on FOX Sports 1 beginning at 8:00 pm ET with the green flag waiving at 8:16 pm ET. The race will consist of 134 laps making up a total of 201 miles. Kyle Busch won this race a year ago.